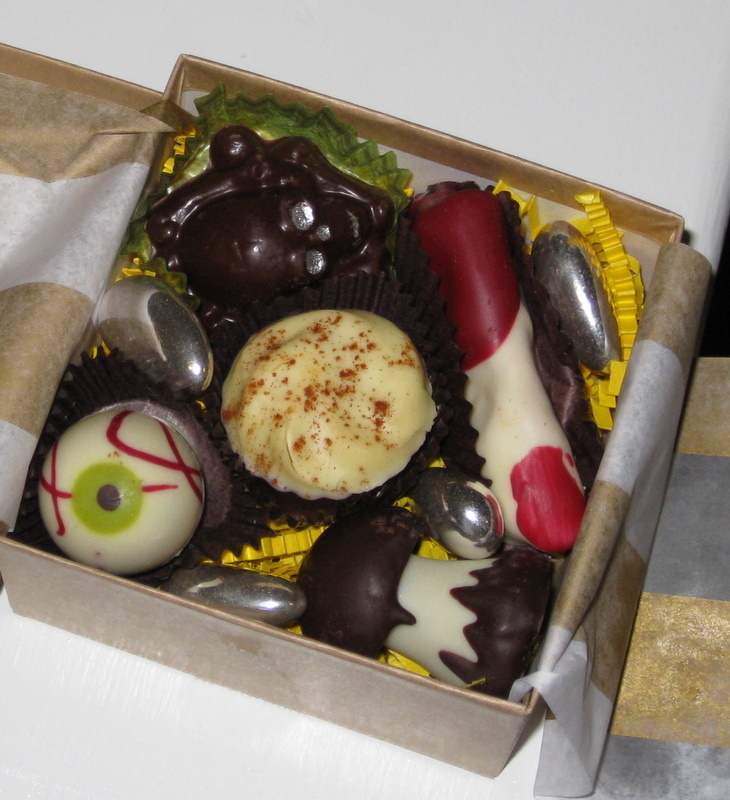 Adam spent a week in New Mexico with his family earlier in the month, and he brought me back this Halloween box of chocolates from Todos Santos Chocolates in Santa Fe. They look incredible; I especially love the eyeball, which is a raspberry truffle. The silver almonds look extremely cool, and that bloody finger on the right is too creepy to eat. But I thought this was a very cool Halloween treat.